Ventura County Watershed Protection District (WPD) recently installed signs at the watershed boundaries throughout the county. Funding came from the WPD Stormwater Permittee Project. Similar signs have been placed at visible sites on Watershed Protection District facilities throughout the county. 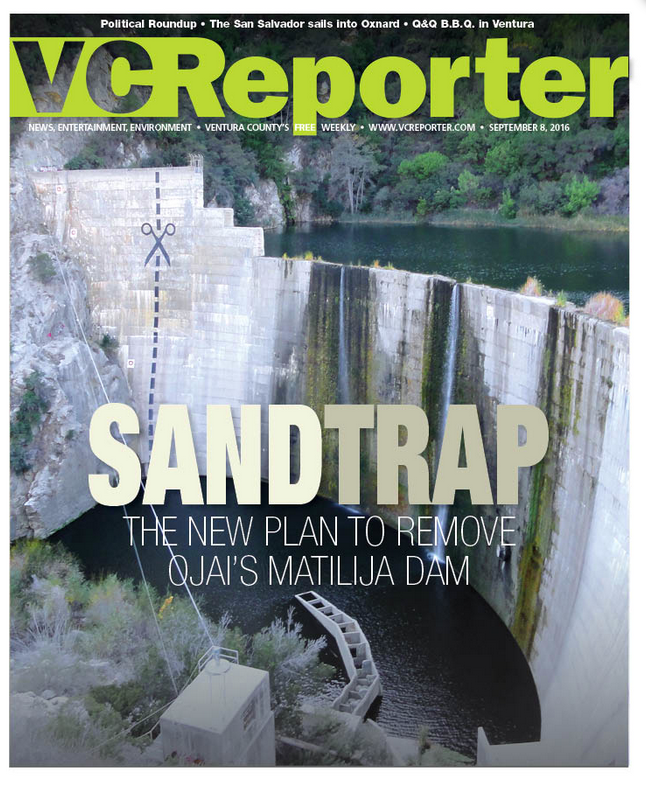 This was an idea that surfaced during initial community discussions with the Ojai Valley Green Coalition in 2008. At that time very few local residents were aware of the significance of our watershed, or even what the term means! Signs like this become part of a growing culture of watershed awareness. Thanks to Ventura County WPD for implementing this public education opportunity! With a possible end in sight, all parties involved are optimistic for the future. “It’s a good feeling knowing that there actually is a solution to this. We’re working every day to try and make that happen,” said Jenkin. On Thursday, Oct. 6, the Ventura River Watershed Council will meet to discuss the Matilija Dam Ecosystem Restoration Project at Oak View Community Center, 18 Valley Road in Oak View from 6 to 8 p.m. For more information, visit www.venturawatershed.org.